Image 1: A pamphlet proclaiming the Vancouver Island Provincial Association [VIPA]. 4,000 copies of the pamphlet were printed and distributed. This copy is preserved in the Northwest Collection of the BC Archives Library. Image 2: A cartoon from the Island Advocate magazine (November 1936) illustrating VIPA grievances that revenue generated on the Island was spent on Mainland projects. Source: BC Archives Library. Image 3: Bruce A. McKelvie, VIPA founder and chief publicist. This photo of him was taken in 1940, a year after the VIPA formally disbanded. Image courtesy of the Royal BC Museum, BC Archives: C-08595. Image 4: The logo and website banner of the Vancouver Island Party (June 2016). Vancouver Island separatists are on the march – again! In June 2016, the Vancouver Island Party [VIP] was launched with the aim of achieving provincial status for the Island. Eighty years ago, the Vancouver Island Provincial Association [VIPA] was organized with the same objective. The two organizations and other Vancouver Island secessionist movements have a lot in common, aside from their goals. Ostensibly, they’re concerned with the future of the region: the VIPA association was launched with a pamphlet entitled The Problem of Vancouver Island’s Future (1936). But they’re grounded in the past. 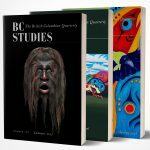 All of them look back to a dark day on 19 November 1866, when the mainland colony of British Columbia (1858) annexed the more developed colony of Vancouver Island (1849). By creating the so-called United Colony of British Columbia in 1866, the British government sought to streamline the administration of its North Pacific possessions. Vancouver Island was disadvantaged by the union in many ways. Its future looked brighter when BC joined Canada in 1871 and many of the Terms of Union were framed with Vancouver Island interests in mind. However, VI secessionists argue, promises by the Dominion government were not kept and provincial government policies consistently favour the mainland. Bruce McKelvie, the journalist who organized the VIPA in 1936, had a formidable knowledge of regional history. The author of several historical chronicles, McKelvie was an executive member of the British Columbia Historical Association and the Native Sons of BC. He could run through a long list of historical grievances when he stumped for the VIPA at town hall meetings around the Island. As managing editor of the Victoria Daily Colonist, he had a large-circulation newspaper to highlight historical grievances. As well, he aired historical injustices in a monthly magazine, Island Advocate. Robin Richardson, a former Progressive Conservative MP with a Ph. D in Economics from Harvard, is also a history buff. In a recent interview, the leader of the VIP said he became interested “in the idea of provincehood for Vancouver Island while writing a book on British Columbia’s pre-Confederation history.” The VIP website features a chronology of events, including the “forced merger” of 1866. The VIP’s proposed “Provincial Terms of Confederation” echo some of the Terms of Union, 1871 – viz., the federal government will forgive Vancouver Island’s share of the BC provincial debt and Canada will retain its military bases on the Island. The VIP aims to win seats in the next provincial election and hold a referendum on separating from BC by 2021, a year that is significant historically. 2021 will be the 150th anniversary of BC’s entry into Confederation. If the VIP’s campaign succeeds, 2021 will be the year when Vancouver Island becomes the 11th province of Canada. Another group is hoping for a plebiscite and secession in 2021. The Vancouver Island Province Movement [VIPM] was launched in June 2013. Its co-founders live in Cedar, near Nanaimo. They, too, are animated by the past and constitutional history. “Just like it was in the early days of the Colony of Vancouver Island, when we had the only Legislative Assembly  … in British North America west of the United Province of Canada … there is a growing wish to make decisions that build on our Island’s values and our rich historical, cultural and natural heritage,” a VIPM blog declares. It sounds quite reasonable and logical. After all, the population of Vancouver Island is larger than PEI, Newfoundland, and New Brunswick, and not that much smaller than Nova Scotia. Why not a separate province of Vancouver Island? There were, and still are, constitutional impediments. The VIPA claimed that provincial autonomy for VI was permitted by a clause in the BNA Act, but secessionists would have faced legal challenges all the way up to the Judicial Committee of the Privy Council in London. The challenges never happened. By 1938, the VIPA had lost its momentum and McKelvie was out of a job. He was fired from the Daily Colonist for his political activism. Having antagonized the Pattullo government, which was then engaged with the Rowell-Sirois Commission, McKelvie was denied perks he might otherwise have enjoyed as a former leader of the Legislative Press Gallery. He subsequently earned a living as a freelance journalist and historical writer. He was brought in from the cold in the mid-1950s, when he was invited him to join one of the BC Centennial planning committees. He died at his home in Cobble Hill in 1960. Dr. Richardson is retired in Victoria. He and fellow VI advocates today face daunting constitutional obstacles. Vancouver Island’s bid for provincial status would require consent from the federal government and two-thirds of the provinces comprising at least fifty per cent of Canada’s population. The government of Canada’s third most populous province would certainly be opposed. And there doesn’t seem to be a groundswell of support for the VIPM (2013) or the VIP (2016). The latter, it turns out, was quietly registered with Elections BC in March 2015 but not announced publically until 20 June 2016, just a few days before the contentious referendum in the UK to leave the European Union. We may yet see a Brexit, but it’s unlikely we’ll see a VI-exit. British Columbia Archives: Bruce Alastair McKelvie papers, MS-1115. B. A. McKelvie, “Home Rule for Vancouver Island,” Maclean’s Magazine (15 March 1937), 24, 49, 50. Forrest D. Pass, “Free the Island,” Canada’s History, (December 2013/January 2014), 36-39. Jack Knox, “New political party pitches Island as the 11th province,” Times Colonist (22 June 2016). Jackie Hong, “Former Toronto MP wants Vancouver Island to become a province,” Toronto Star (1 July 2016). The Problem of Vancouver Island’s Future (Victoria, BC: Vancouver Island Provincial Association, 1936).